Crunchyroll - Week 3 Voting is Now Underway at the Anime Awards! Week 3 Voting is Now Underway at the Anime Awards! Flash! 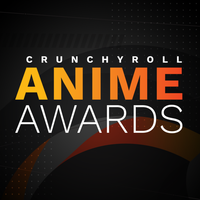 Voting is underway for Week 3 RIGHT NOW at the Crunchyroll Anime Awards! This marks the final week of voting, which means that crucial categories such as Best Girl, Best Hero, and the much coveted Anime of the Year are up for grabs! Browse the full list below and click the links to cast your vote! VOTE FOR ANIME OF THE YEAR NOW! VOTE FOR BEST GIRL NOW! VOTE FOR BEST BOY NOW! SERIES: KONOSUBA: GOD’S BLESSING ON THIS WONDERFUL WORLD! VOTE FOR BEST MANGA NOW! VOTE FOR BEST HERO NOW! VOTE FOR BEST VILLAIN NOW!